Donald John Trump keeps his promises. 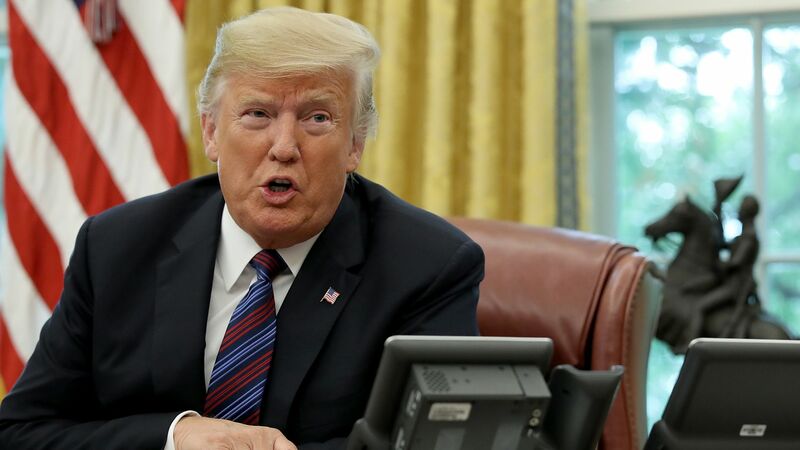 Sitting at the Resolute Desk in the Oval Office, President Trump put Mexican President Enrique Peña Nieto on his speaker phone as the press watched. Speaking through a translator, Peña Nieto congratulated the negotiators on both sides and even offered to give President Trump a hug. Trump and Peña Nieto have been working for the past five weeks to iron out resolve key differences on issues ranging from automobiles to energy, so that an agreement can be finalized and signed ahead of Mexican President-elect (and a declared socialist) Andrés Manuel López Obrador’s inauguration in December. One of the biggest issues on the negotiating table deals with car manufacturing jobs, as the Trump administration pushes for a deal that would boost factory employment in the U.S. According to a fact sheet from the U.S. Trade Representative, the new trade agreement with Mexico includes new rules of origin to incentivize manufacturers to source goods and materials in North America – including requiring 75% of auto content be made in the United States and Mexico. The U.S. on Thursday agreed to keep the 2.5% tariff currently applied under World Trade Organization rules if the cars are made at factories that already exist, which leaves open the possibility that automobiles that are built at new plants could face tariffs of 20% to 25%.